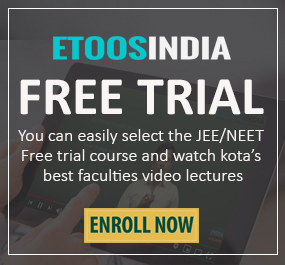 India’s best online coaching ‘EtoosIndia’ has launched new courses in complete English language for all those NEET aspirants who face language issues during their exam preparation. Over the years, students from Telangana have been showing tremendous results in the engineering and medical examinations. And to make sure they continue to do the same we have taken the initiative to begin English courses which will overcome the language barriers. As mentioned already, the first unique feature of these courses is the language which is English. 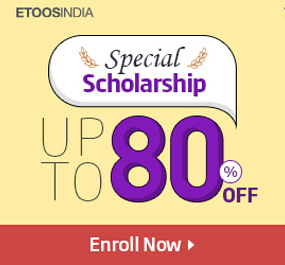 The complete course has been divided into step-by-step online video lectures. In a systematic and well-organized way, the entire NEET exam syllabus of all subjects have been covered by our experienced faculties. If you have been willing to solve the most complex questions with accuracy & ease then these video lectures are going to be immensely useful. One can easily devise a problem-solving strategy & logical approach with the practice papers. Build conceptual clarity with foundation courses & best exam study material available on our website. Post these courses students can avail sample question papers, test series, crash courses and also give free mock tests which are in accordance with the exam pattern. Get solved questions papers & video solutions with our newly launched Video Mock Test Series. Has language been a problem in your preparation? Well, not anymore! Get started with online exam preparation and give your best to clear NEET in the first shot! For any doubts or queries, you may feel free to drop in a comment below. We’d be happy to help!